Drawing on complementary strengths, the University of California, San Diego and The Scripps Research Institute have formed a new consortium with a big mission: to map cells in space and time. The consortium will offer fellowship funding for 10 to 12 graduate students and postdoctoral fellows to work on collaborative projects that build bridges between the campuses and different disciplines to assemble and simulate a virtual model of a cell, down to an atomic level of detail. The Visible Molecular Cell Consortium will be directed jointly by Art Olson, professor at TSRI and Rommie Amaro, associate professor of chemistry and biochemistry at UC San Diego. In recent years, more powerful imaging devices and automated programs in high resolution imaging have provided more detailed pictures of cells and their proteins than ever before, but scientists have not yet translated the huge amounts of data into a single, atomic-level cellular model. This is a “big data” challenge, Olson points out, applied to the uncharted territory of cellular architecture and ecology. The researchers hope to one day be able to zoom into cells at the atomic level and zoom out to see “nano neighborhoods,” where cells interact. On top of that, they aim to visualize protein interactions in real time to better understand cellular function. The new consortium will help scientists put the pieces together. 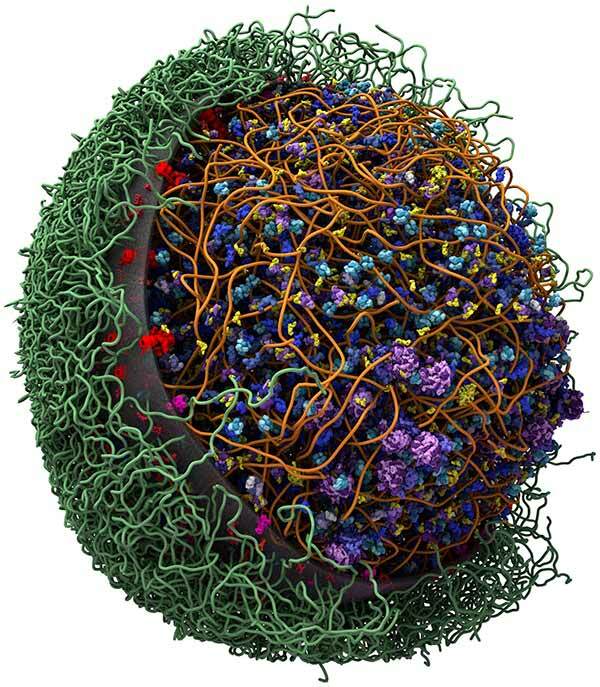 TSRI is known for its structural biology using both cryo-electron microscopy and X-ray crystallography, and both Olson’s and Amaro’s labs develop and use advanced graphics programs to visualize complex cellular machinery. UC San Diego is home to the only publicly available supercomputer in California and the National Biomedical Computation Resource, a National Institutes of Health-sponsored national resource that develops multi-scale modeling tools. Olson and Amaro plan to host their first “lightning talk” workshop, where any scientist can present their work and seek out collaborators, on Oct. 2. They also plan to organize a bi-annual conference to encourage new collaborations and share results. Researchers interested in learning more about the consortium are encouraged to contact visiblemolecularcell@gmail.com. The organizers anticipate the consortium will be particularly strong in neurological diseases and infectious diseases, such as influenza, HIV and Ebola virus, although the insights into cellular behavior will be applicable across many fields.